After all the Christmas decor gets put away the house looks kind of cold and empty. In a way it feels like everything is new and fresh as if it were spring, but it isn't. It's still WINTER!! 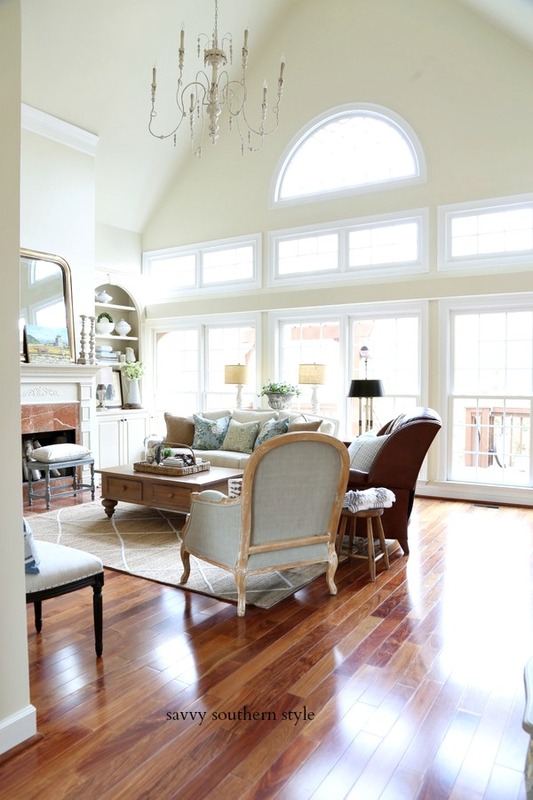 So what to do to make your home feel warm and cozy? Here are some ways I create cozy in my home. A collection of vintage quilts placed on a bench where one can be grabbed if you need to sneak in a little winter's nap. This basket is filled with pillows and a fluffy throw which can also be used to feel cozy on a cold day. More throws are strewn across chairs and ottomans. 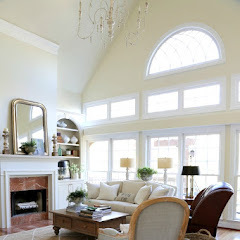 Switch out a sea grass rug for a warm colored wool one. Baskets add texture and then fill it with old leather books and collectibles. Layers add the feeling of warmth. Flannel sheets on the bed certainly says cozy. Add a big fluffy duvet at the end of the bed. An extra quilt on a guest bed for your guests. I hope you have found some inspiration for creating that cozy feeling in your home. Kim, when anyone enters your home, they immediately feel a sense of warmth and coziness in a most beautifully decorated home. I love your collection of vintage quilts…and Bailey is very happy that her mommy provides cozy spaces for her too!! I love nothing more then getting under a big fluffy blanket when the temps are dipping. Give Miss Bailey a treat. That will make her smile!! Love you blog! Thank you for offering a giveaway! You have a great old quilt collection. Your home is always cozy! Lots of great ideas for winter decorating, Kim. Kim I want to move into your house and live there forever. 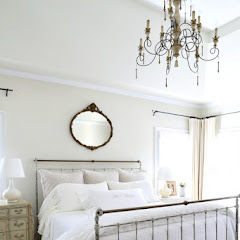 So pretty and inviting and yes...cozy! Your home always looks cozy Kim 12 months out of the year, seven days a week! What a fun link up. I can't wait to go blog hopping. I am a throw addict. I can't seem to resist them. I love your ticking print flannel sheets and all your quilts are amazing! Bailey looks adorable and cozy too. Bailey is the perfect touch in any room! So adorable!!! I have been following you for about a year now and I always look forward to your posts. Your home is beautiful, warm and inviting... like a big hug for a wonderful friend! Love all your cozy touches! I've done some similar things in our home too. Ps I love those bookends! Love the vintage quilt collection. I just started one this summer (my collection doubled when I acquired one this fall, which my mom made when she was 1st married). Being a Canadian (from the cold part) we are all about throws, fluffy duvets - and central heat! I love all of your cozy spaces. This time of year is perfect for sitting under throws. I have been doing that every morning and night. Looks like we'll need to use the fireplace this Wednesday too! Your home is so ready to cuddle up in Kim! Love the vintage quilts! Hi Kim, I love those vintage quilts. Miss Bailey is like a Supermodel, she has never taken a bad picture. You do cozy so well, Kim. Love the stacks of quilts and that duvet looks incredible! Miss Bailey has a cute little face. Our Lab likes to clean her paws too. Very pretty, I am coveting that duvet rolled up at the end of your bed. Miss Bailey looks nice and cozy. Oh I so love everything in your home. Your ideas for creating a cozy home are lovely. The one that popped for me is switching the sea grass rug for a wool one. I love it and gotta do it! Beautiful coziness, Kim!! I love the rug especially. Quilt LOVE Kim! Miss Bailey looks like she was interrupted from a nap to me :) My two are curled up on a throw right now. Would you believe me if I told you every time I shop for pillows I think of you? It's true! You have the cutest pillows and I can never find ones as pretty as you. I should look on Etsy. Thanks for sharing your cozy tips! Kim everything looks cosy and homey. I love the quilts. I love all your cozy areas you have created. Love the duvet on the bed and your guest bed is so inviting. I would never want to leave that room!!! Bailey is too adorable. Blankets are the absolute best!!! Nothing say cozy more than a comfy throw. I keep a basket of throws in our living room and the kids are always wrapped up on one in front of the TV! 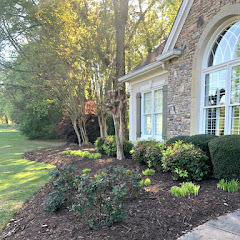 Thank you so much for sharing your gorgeous home Kim...have a great week! I bet Miss Bailey is quite the cozy companion on these chilly days! I love all your cozy touches throughout your home, and I love that you included books in the mix. There's nothing better than snuggling up in front of the fire, under a blanket, the dog at your side, with a good book. The definition of cozy. You have some great ideas as to how to stay warm and cozy. Funny that we both have our fluffy helpers at the end of our posts. They sure help keep us cozy! Wonderful to be cohosting with you. Kim you perfectly captured the essence of the word 'cozy'! I just love every beautiful detail and all of your warm and cozy touches. I'm sitting here surrounded by blankets and pillows so this post was speaking my language for sure! Kim, you home has never looked more cozy! Love all your quilts and throws. Last year I gave all the grandkids their own throw, and they loved them! They have even brought them back when visiting and spending the night. Kim I love your ideas for being cozy this winter! I'm especially fond switching out the rug. How smart and cozy. And Bailey looks adorable! If you keep making that guest room so inviting, I might just drop in for a visit. Oh Kim, you always amaze me with your gorgeous sense of style. Your home is elegant and warm at the same time. 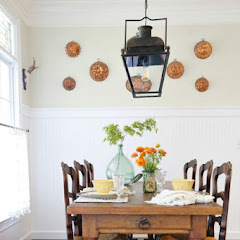 I always love seeing the pretty touches in your home- making it cozy is even better!! So lovely! I love your quilt collection. The basket with books and collectibles is precious, and your home is so warm and inviting. Love your style!! Love all the quilts, throws and pillows. Everything looks so warm, cozy and welcoming. Beautiful home. Hello Kim, wonderful tips - love the vintage quilts. I told my daughter we need to bring out our great-grandmother's quilts - they should be seen and used! I think Bailey looks quite warm and cozy! Kim - Your home always looks cozy to me! I'm in love with those vintage quilts. I have a few from my family, but really would like to build on that in the future! If I haven't said it before - Bailey is just the cutest dog ever! I love the quilt collection! 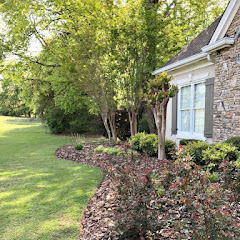 I am on the lookout for some to put in a basket in my family room, mostly to use out at the firepit when it is still chilly outside, but also to use inside when it is too cold for firepit nights. Your home is just lovely! The splash of color in your rug really warms and cozies things up. Nobody does cozy like you do, Kim! I love all of your cozy touches, especially that basket of books and collectibles! I sure would love tyo come over and stay in that beautiful guest room. Just got back from COOL Fl. last night and am trying to catch up (and get warm):):) Stay cozy!!!!!!!!!!!!! It's sooo cozy, Kim! What a beautiful guest room. Very cozy & pretty Kim. Bailey look so comfy! I LOOOOOOVE your HOME pillow! Where did you get it?? It is exactly what I have been looking for! 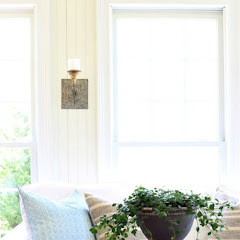 This post is over a year old and that pillow cover was from Pottery Barn.